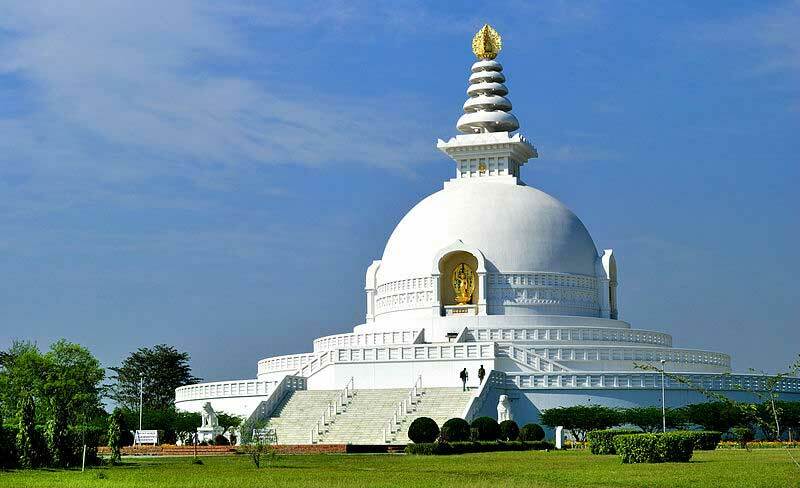 Lumbini - Birthplace of Lord Buddha - Blue Mountain Travels and Tours (P.) Ltd.
A quiet garden, shaded by the leafy Bo tree (the type of tree under which Buddha received enlightenment), and a newly planted forest nearby lend an air of tranquility, which bespeaks Buddha’s teachings. Lumbini is now being developed under the Master Plan of the Lumbini Development Trust, a non-governmental organization dedicated to the restoration of Lumbini and its development as a pilgrimage site. The plan, completed in 1978 by the renowned Japanese architect Kenzo Tange, will transform three square miles of land into a sacred place of gardens, pools, buildings, and groves. 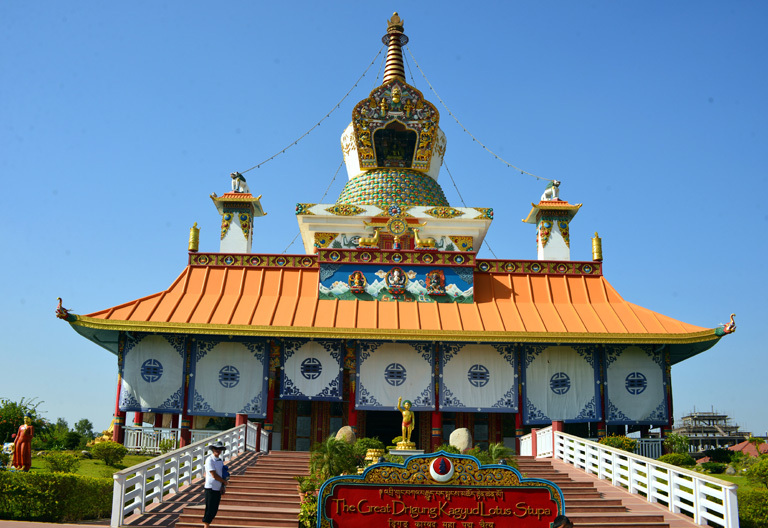 The development will include a Monastic Zone, the circular sacred Garden surrounding the Ashoka pillar and Maya Devi temple, and Lumbini Village, where visitors will find lodges, restaurants, a cultural center and tourist facilities. Besides its religious and historical significance, Lumbini offers cultural insights into the village life of southern Nepal. If possible, try to coincide your visit with the weekly Monday bazaar when villagers come from miles around to buy grains, spices, pottery, jewellery, saris and various other items. It may appear as a scene out of the Arabian Nights, with colorful merchandise spread out under the mango trees and the air perfumed with incense. It’s a chance to bargain for souvenirs while witnessing local life in Lumbini. Wooden ox-carts loaded with hay trundle by. Villagers dry cow-dung for fuel, and tea stalls serve sweet milk tea. 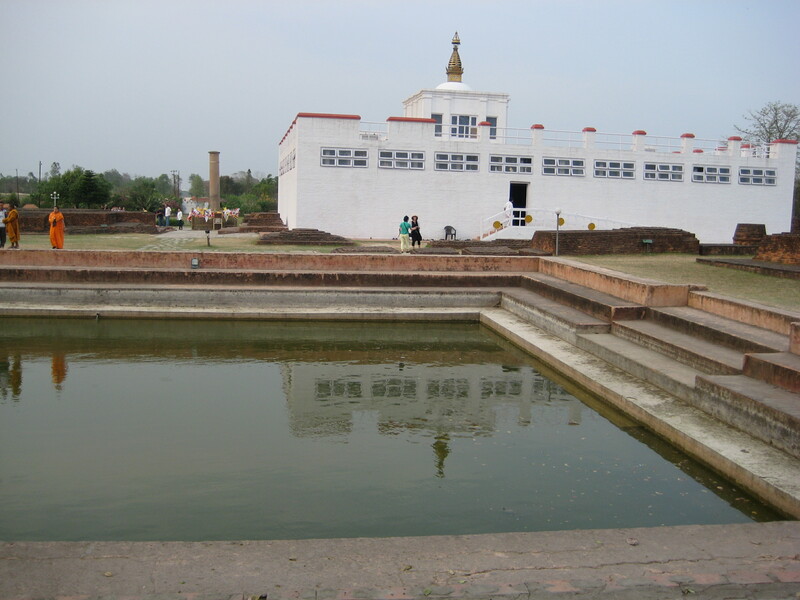 Today, Lumbini is beginning to receive travellers’ and archaeologists’ attention after centuries of neglect. Serious preservation work has only just been started in the latter half of this century and Lumbini as a slice of history is worth seeing and worth preserving. Two modes of transportation are available. After taking 35 minutes of Kathmandu- Bhairahawa flight, you can drive for 30 minutes to reach Lumbini. Alternatively, you can choose land transportation and cover 300km of road in 8hrs to reach Lumbini. 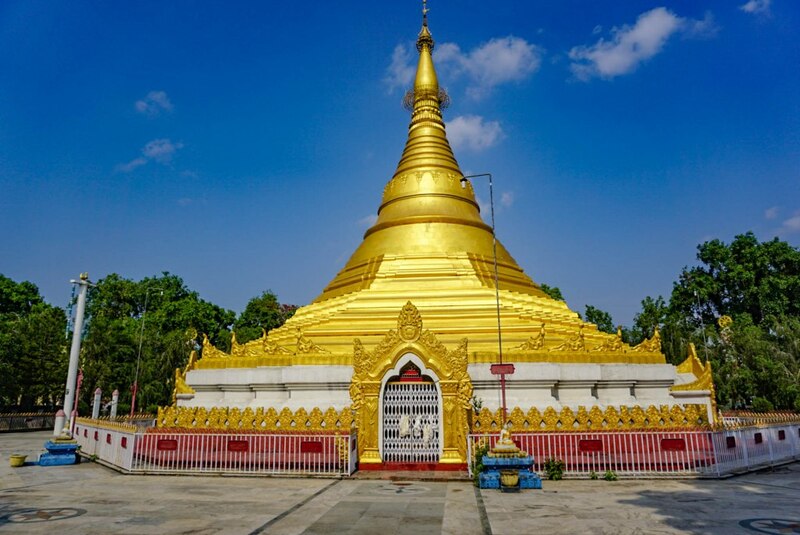 Explore Mayadevi Temple (the temple dedicated to mother of Gautam Buddha), Puskarini Pond (the pond in which Siddhartha is said to have been bathed right after birth), Sacred Garden, Ashoka Pillar (the pillar that verifies Lumbini as the authentic birthplace of Buddha) and visit the monastic zone. Return fromLumbini to Kathmandu and stay overnight in a hotel.